If you prefer Chrysler cars or know that the car with the characteristics you want is presented in the Chrysler range, start the search from this page. Enter the dates you need in the search form or click on the image of the car that suits you at the bottom. In the list below you will find the Chrysler cars that you can rent in Cairo International Airport CAI, Egypt. The pricing of shown cars is based on previous searches. Chrysler cars are surrounded by an orange frame. Also in the list, there are cars of other brands, so you can choose the most suitable variant for you at a price or other parameters. You will find more relevant information by clicking on the car or by filling in the search form. Why use Rental24H for Chrysler car rental? If you haven’t found the suitable model of Chrysler in your area, we can pick up for you alternative offers - from mini and economy cars to full-size cars and SUVs, from luxury cars or convertibles to exotic car models. Fill in the search form and view all the possible cars in the right area. What makes Chrysler so unique? FCA corporation (Fiat) owns most of Chrysler's shares. This company is one of the largest car manufacturers on the planet. The first Chrysler car was produced in 1924. With the price of only 1565$ it used to have lots of innovational solutions onboard. In 1998 Chrysler has become a subdivision of Mercedes-Benz and got a new name – Daimler Chrysler. Chrysler Grand Voyager is a unique car. The model has truly incredible opportunities in transforming the interior of the car. In 2009 Chrysler has been joined to another automotive giant – Fiat, and after that it has released absolutely redesigned car models. Compact cars are an ideal selection for everyone who moves a lot and wants to get a reliable transport for a budget price. Chrysler intermediate car features an acceptable level of comfort and available at very affordable rates. Fullsize car is the best choice if you like to feel safety and comfort, especially during long-distance trips. 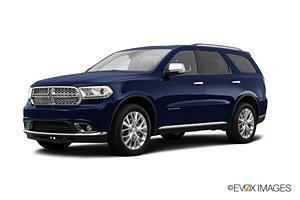 SUV car from Chrysler guarantees you a hassle-free driving both on highways and off road. Minivan is the best transport in case you travel with your family or friends. Premium car is one the best “accessories” to emphasize your special status and individuality. Choosing sportscar from Chrysler you get a quick and powerful vehicle with an amazingly beautiful design. Want to get a car with the specific transmission type? No worries! Rental24H offers both automatic and manual one. By the way, air-conditioning and stereo-system are already installed into all Chrysler vehicles. What insurance is provided for Chrysler rental car? The price for additional insurance may vary depending on the class of a vehicle and the company that provides it. Approximately 30% of our tenants are ready to keep the necessary amount of deposit, but they are not really ready to risk it. If this is your case, you can buy excess insurance right on our website. If you bought an excess insurance, then in case of any problems with the car - whether it's just a scratch or significant damage - our insurance company will refund the amount of the excess fee, withheld with you by the rental company. In addition, our insurance covers the above-mentioned damage to the roof, the bottom and the glass of the car, as well as the loss of some personal belongings. For example, there are cases when tenants leave expensive glasses or a smartphone in a rental car. Such losses can also be reimbursed by our insurance. Please, examine rental conditions of a particular Chrysler car model to get maximum detailed information on insurance provided for it. You can see the lists of reliable vendors below, who can provide Chrysler in Cairo International Airport CAI, Egypt. How to get a guaranteed Chrysler car model? Most car rental companies don’t guarantee you a specific Chrysler car model. They can guarantee you only a car from certain car group. All cars from the group you’ve chosen have approximately the same size and are similar in their technical characteristics. How to get the cheapest Chrysler car rental deal? If you have any questions about Chrysler car rental, do not hesitate and ask us in Live Chat at any time!